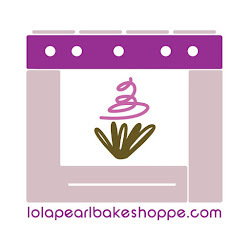 Lola Pearl Bake Shoppe: Valentine Dessert Table ideas! Another lovely snapshot of our Valentine's Day dessert table from our Sheckys.com feature with KC You There. Using Valentine themed scrap paper gives your an affordable avenue for the look you want to achieve. There are SO many different options! Check out your local craft store for countless styles! Paper doilies are also a super cute way to bring in the holiday theme.